Mumbai: E-Commerce held centerstage in 2015. Big Data Analytics took over in 2016. This year, the spotlight was on ‘Waste to Value’. 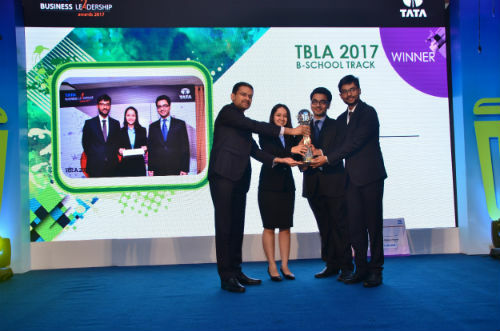 Tata Business Leadership Awards (TBLA) 2017, the annual business case competition organised by the Tata group, saw best minds from premier business schools from across India come up with innovative business solutions for the reduction, efficient disposal and productive use of industrial waste produced by Tata companies. TBLA was won by Team Caesar of S.P. Jain Institute of Management and Research, Mumbai. Team Invictus from XLRI Jamshedpur and Team High Flyers from IIM, Bangalore were announced as the 1st and 2nd runners-up, respectively. The other teams, which reached the finals were from IIM-Ahmedabad, IIM-Calcutta, IIM-Lucknow, IIM-Kozhikode, FMS, Delhi and TISS, Mumbai. The teams in the final round were given a challenge where they had to build a case for setting up an integrated waste management company within the Tata group that takes ownership of the industrial waste from Tata companies and unlocks value for all stakeholders. The winning entry from S.P. Jain suggested creating one such company within the group providing a holistic solution, from consulting to research and development to an investing arm, thereby tackling all issues of industrial waste management. This kind of an integrated business solution does not currently exist in the country, thereby making the suggested plan unique and a winner. The winners were felicitated with the coveted TBLA rolling trophy, a cash prize of Rs. 500,000 and a direct pre-placement interview (PPI) opportunity with TAS, the flagship leadership development programme of the Tata group. The 1st and 2nd runners-up received a cash prize of Rs. 200,000 and Rs. 100,000, respectively, along with an opportunity to be a part of the TAS presentation round. 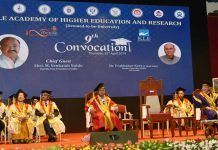 Senior leadership from the Tata group including Dr. Gopichand Katragadda, Group Chief Technology Officer, Tata Sons, and Mr. Rajesh Gopinathan, CEO and MD, Tata Consultancy Services (TCS) also graced the occasion. In the pre-final rounds, the participating teams presented solutions to live business cases from Tata companies namely Tata Steel, Tata Power, Tata Chemicals, and Ginger Hotels. Nine teams were shortlisted by senior Tata leaders to compete at the finals.